The future is uncertain. This thought holds true for everyone especially the youth today. Whatever stage in life a person is in, the future will always be unknown. The best way to be secure is to be prepared. Planning ahead is the best way to face the future with confidence. One of the important aspects in life that will benefit much from planning ahead is one’s career. Each person is responsible for building their own career path. Some may wonder when to start planning but it’s never too early and never too late to plan. Planning can be different for the many stages in life. If you are a student, career planning entails knowing your talents, the availability of the courses you want and choosing the universities. If you are a newly graduate, knowing the market and the possible competitions whether for the job or business should be considered. You should also evaluate your capabilities and qualifications on the particular job of your choice and of course the acceptable income. On the other hand, if you who already have a job, it is never too late to still plan your career. 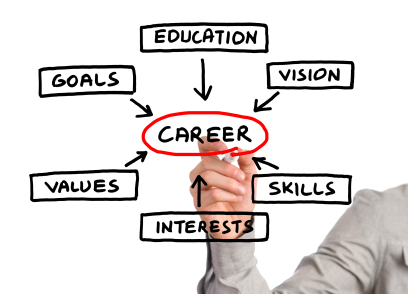 Career planning should not stop at the instance a person gets a job or starts a business. You should evaluate every now and then your achievements, the career changes and growth you want, the advancement opportunities and potential increase in income. This can all be achieved as you go along through your current careers. Before learning anything from the outside world, you should look within yourself and observe what you want to do with your life, your likes and dislikes, your passion and your talents. People should learn from themselves first. Always remember that a career is something that will be done for long periods of time and will eat up most of the hours in a day. You should invest your precious time on careers that you will be happy and satisfied to do for the rest of your lives. You should find your passion and pursue it because otherwise, if you learn that you hate what you do, it will not be long before you get tired and eventually search for something else. It is important to learn from other people aside from yourself. People who have the experience know the ins and outs of a certain field. They will be able to give valuable insights on what to and what not to expect. Information can be garnered from people in the same field or through research, books or the internet. You should not just stick to one opinion. It is best to compare and see what information is reliable and applicable. What you want to achieve given a period of time is an important motivation to pursue the career of your choice. Struggles and setbacks can happen anytime but setting your mind on achieving your goals or having the endpoint in mind will definitely make you more driven to continue. There is always room for growth. Opportunities may come at any time. When planning for the future, you should keep in mind that there is no such thing as a foolproof plan. Changes can happen. With changes comes growth. Start to Plan. Set the goals. Strive to achieve it. But when better opportunities come along then you should go for it. This also entails much studying of the benefits and comparing the possible advantages with your current status. Disadvantages are also a reality therefore should also be considered. Although planning is different for each individual, it is still something valuable that a person should do to secure their future. It’s true that the future is uncertain but with career planning, the future can be faced with more certainty and security. So, do you have a career plan? What does it look like? I would love to know. Certainly follow your passions but with an eye to the market. If you love gardening and computers, the latter will reward you better and you can save the former for your own patch and relaxation. Careers change and while there are different perspectives for young people now than 30-40 years ago, there are also much better opportunities as well as clean air and water. The world is your oyster – just find out how to open it. Its always good to plan. This habit helps you to keep a long term vision which is always helpful in seeing opportunities before they come. I am in my twilight years, so my plan is is very simple. Work 5 more years til retirement (again). Grow my blog to provide additional income for now and the future. This is tricky… I plan but sometimes I have to go with whatever plan is in front of me. The one plan that I am on track with is my family. Because no matter what happens I plan to always love them. Having a strategy for your career is great. It helps if you have a position or job in mind that you aspire to. Setting goals and evaluation will help tell you if you’ve hit a dead end or need to make changes in order to meet your goals. Any planning, inclusing career planning, has one main problem – it takes you only where you decided to go and you see only what this allows you to see. Apart from that, to do career planning (and other form of planning) one has to assume considerable level of control over a wide range of factors – most of the time this is an illusion. Having said this, I am not a complete anarchist – but I would rather have aspirations that are like magnets, not destinations that are like roadmaps. I think you should plan based on what you know now and adjust the plan on what you learn or what circumstances present themselves. It’s not different then a business plan. The career plan and business plan will always be updated based on new information. To what Maria said—I agree. I’d add another component called “BE FLEXIBLE!” Our plan’s don’t always work out the way we think they will, but that doesn’t mean that the unexpected should derail us. I’m in school right now preparing to take a certification test. Then I plan to be back in the workforce. There’s not a ton of upward mobility in the niche of the field I want to go into, but I love it and it’s a decent salary, so I’m not too worried. I agree.. the unexpected should be treated as such… unexpected. You then go back and adjust the plan accordingly. I’m not a fan of going with the flow unless that situation presents itself. You can always plan even if the future may be bleak. For example, if you think the future of your industry is uncertain, try planning on exiting said industry and working in a new one.